What is my favorite thing in the world (besides photography?) DOGS of course! Those of you who know me personally know I'm obsessed with my dachshund named Decoy. That's why I absolutely love it when my clients want to include their dog in their sessions. Christina and Jon were one of these couples. 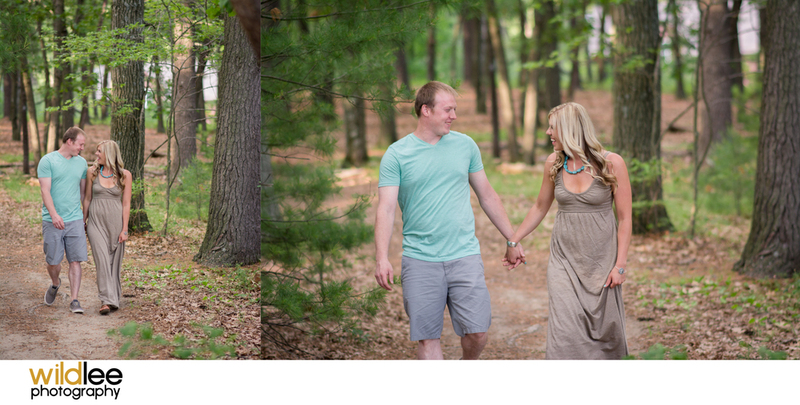 They wanted to include their dog Butters in their engagement session which we decided to do at the Mill Pond Reservoir. The day could not have been more beautiful and Christina and Jon are a great couple. They have hired me as their wedding photographer and I cannot wait to work with them again. Not only because they are a great, easy-going couple, but they also want to include Butters in some of their wedding photos!